Miller-Valentine Group was selected by the developer to provide construction services prior to the selection of the architect on this new 7-story, 34 room boutique hotel as an addition to the Restoration On King hotel. 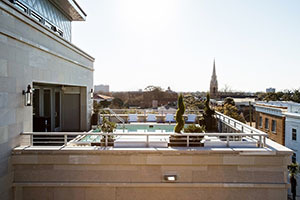 This hotel is located in the historic district of Charleston, SC at the corner of Wentworth & King Street. Miller-Valentine provided all pre-construction services to include budget pricing, best value analysis during the design development phase, coordination of all entitlements; including BAR, TRC, planning/zoning, and the building department. They then arrived at a guaranteed maximum price to meet the developer’s budget. 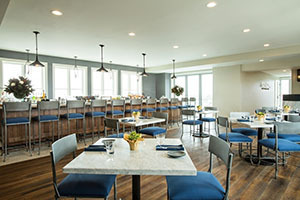 The project also includes the renovation of 77 Wentworth which is a 3 story facility that will convert a restaurant into the new hotel lobby, fitness area, bar, and in-hotel kitchen and board room meeting facilities.